It all comes down to this. Sixteen teams will take the floor today to fight for state titles in boys and girls Class AA, B, C and D action. Who will come out victorious? Stay here to find out. That’s it for this year’s tourney, folks. For all of our coverage from throughout the tournament, check out our 2019 Tourney page here. Missbrenner seven third-quarter points helps Bangor extend lead to 41-28 entering 4Q. Half, Bangor 23, Bonny Eagle 17. Vance 10 points, Fleming seven points and two fouls for Bangor, Maturo nine points for BE. A reminder that if you’re looking to watch the Houlton vs Winthrop game, you can find a live stream of it here. Luke Caruso jumper at the buzzer gives Bangor an 11-5 lead over Bonny Eagle, end 1Q. We’ll be switching to the Bangor vs. Bonny Eagle broadcast momentarily. If you’d like to watch the Houlton vs. Winthrop game live online, you can tune in here. Final, Oxford Hills wins Class AA girls title with a 55-45 win over Scarborough. Coming up at 9:05, the Class AA boys final between Bangor and Bonny Eagle. Caribou 49, Cape Elizabeth 47, Final. Caribou, Cape tied at 47-47. On to second overtime. Cape ball, tied with Caribou 45-45, 22.7 seconds left in OT. Long Parker Deprey shot at buzzer off the rim. On to overtime with Caribou and Cape tied at 42. Caribou, Cape tied at 42-42, Caribou ball with 7.7 seconds left. Caribou up 41-35, 1:26 left 4Q. No Cape field goals since 2:02 left 3Q. End 3Q, Caribou 34, Cape Elizabeth 34. We’ll stick with the live stream between Caribou/Cape until the end of the game, then we’ll switch to the Schenck vs Forest Hills broadcast. Half, Cape Elizabeth 22, Caribou 21. Freshman Michael Brigham 3-pointer gives Caribou 21-18 lead. Upcoming, Caribou seeks its first state title in 50 years when it faces Cape Elizabeth for Class B boys state title in Portland. 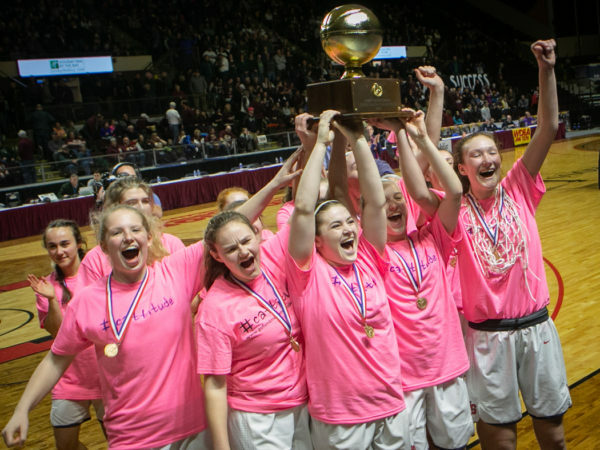 Gray-New Gloucester High School celebrates its win in the girls Class B state championship basketball game at the Cross Insurance Arena in Portland on Saturday. We’ll switch to the live stream of the Caribou vs Cape Elizabeth game when that one starts. The players are currently warming up. 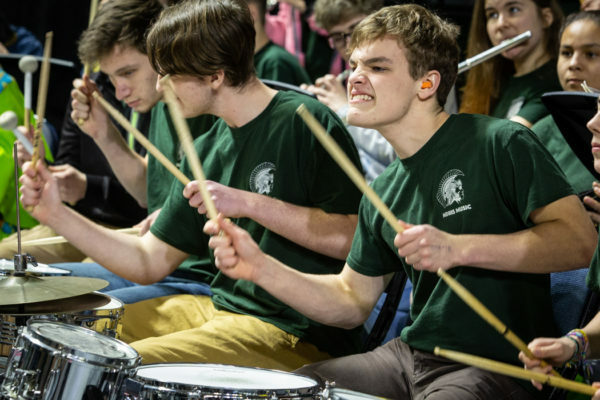 Big game coming up at 2:45 p.m.: Caribou (18-3) vs. Cape Elizabeth (14-7) in the boys’ Class B state finals at the Cross Arena in Portland. Final: Gray-New Gloucester 43, MDI 30. The second game of the day, Class D Southern Aroostook girls (19-2) vs. Greenville (15-6), is underway. We’ll add the stream above once the MDI vs GNG game finishes. For now, you can find the So Aroostook/Greenville game here. GNG 32, MDI 24, MDI timeout with 7:05 left. GNG limits MDI to four points in 3Q, leads 30-22 going into the fourth. Gray-New Gloucester leads MDI 23-18 at the half. At the half, GNG 23, MDI 18. GNG outscores MDI 12-2 to close out the opening quarter for a 16-8 lead. Bri Jordan with 7 for the Patriots. Gray-New Gloucester with seven-point run to take 11-6 lead. TO MDI. MDI out to an early 6-4 lead, 3:45 left 1Q. 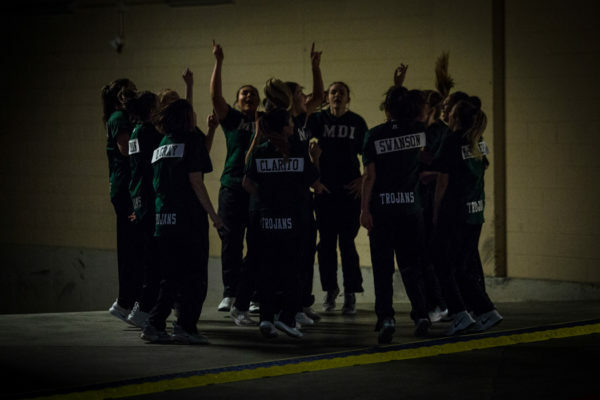 MDI chants and dances — getting psyched up — in the concourse before taking to the court. 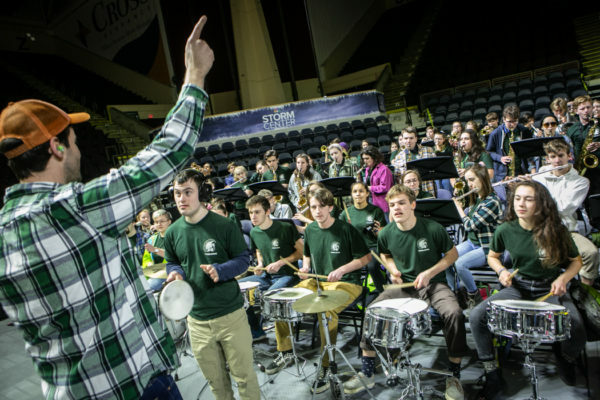 The MDI band is probably the loudest I’ve ever heard at a basketball game. They sure are revving up the fans on their end. With the theme from “Jesus Christ Superstar” playing in the background, the MDI girls basketball team takes the court to face Gray-New Gloucester in the Class B state final. Game time is 1:05 from the Cross Insurance Arena in Portland. It took two busses just to get the MDI band down to Portland, I’m told. It’s got about a hundred members.